Welcome to the seventy-third issue of MetaboNews, a monthly newsletter published in partnership between The Metabolomics Innovation Centre (TMIC, http://www.metabolomicscentre.ca/) and the international Metabolomics Society (http://www.metabolomicssociety.org/), to keep metabolomics researchers and other professionals informed about new technologies, software, databases, events, job postings, conferences, training opportunities, interviews, publications, awards, and other newsworthy items concerning metabolomics. MetaboNews represents the one-stop-shop for the very latest and most critical news about the science of metabolomics. In this issue, we feature a metabolomics interview with Jules Griffin of the University of Cambridge. The Metabolomics Society is calling for interested members in the Greater Asia region to express their interest in hosting the 2020 annual Metabolomics Society meeting (http://metabolomics2020.org/). Please send notice of your interest using this form by 15th September 2017. You should name individuals who will be key to forming a Local Organizing Committee (LOC) and outline the scientific plan for the conference. The LOC will report to the Metabolomics Society and assist A-S-K staff to select a suitable venue and organize the conference. The tasks of the LOC are to ensure national and regional support for the conference, to assist the Society in administrative planning and, most importantly, to chair and organize the scientific management of the conference, including forming an International Organizing Committee that has the responsibility for scientific aspects of the meeting. Please complete the application form outlining your ideas to maximize the scientific quality and outreach of the conference. For further enquiries, please contact the Society via A-S-K Associates (info@metabolomicssociety.org). The 14th Annual Conference of the Metabolomics Society will be held in Seattle, Washington, USA from the 25-28th June 2018 (http://metabolomics2018.org/). Professor Dan Raftery, conference chair, and the Scientific Organizing Committee invite Metabolomics Society members to submit ideas for Scientific Session topics for the conference. The deadline for submission of scientific sessions is September 15, 2017: click here to access the submission form. A separate call for applications for pre-conference workshops will open in October. When I decided on the location of my family holiday, I hadn’t given much thought to the August Board of Directors’ telephone conference and how mobile coverage and WiFi accessibility might not stretch across the country. So for August I found myself standing on a hillside trying to get signal on a remote part of North West Skye. For those of you not familiar with UK geography, Skye is a Scottish Island almost at the point where land stops and the Atlantic starts; beautiful in a wet and windy way! As many of you will be aware from emails, we are in the middle of elections and we discussed progress to finding new directors and recruiting to the early members network. We also had an update on progress in terms of journal developments; hopefully we should have some news soon. However, the main topic of conversation was progress on Seattle. So just in case you have been living on a remote Scottish Island, the international meeting for 2018 will be in Seattle, organised by Prof. Dan Raftery. We are currently in the process of inviting plenary and keynote speakers. We are also really keen to hear from people who want to put on workshops. An official call will go out later in the year but it’s not too soon to start thinking about how you could contribute to a workshop, be it in best practises in the lab, how to write better papers, careers in science, or the latest tools for processing metabolomics data. So while it doesn’t seem that long ago we were eating ice cream in Brisbane, time to get sipping coffee and thinking about what you can contribute to Seattle 2018! The new European Molecular Biology Laboratory Australia Bioinformatics Resource (EMBL-ABR) is a distributed national research infrastructure providing bioinformatics support to life science researchers in Australia. It was set up as a collaboration with the European Bioinformatics Institute (EMBL-EBI) to maximise Australia’s bioinformatics capability. As part of their Open Science series, EMBL-ABR recently hosted an interview about bioinformatics and omic sciences with ANZMN member Dr. Saravanan Dayalan. 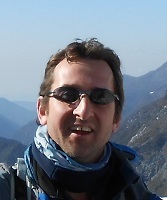 Dr. Dayalan works at the Metabolomics Australia node at the University of Melbourne and also in roles for the EMBL-ABR. He is well respected all over the world for his work in metabolomics-based bioinformatics and software (e.g., MASTR-MS, http://www.metabonews.ca/Jul2017/MetaboNews_Jul2017.htm#spotlight). You can see the full interview at https://www.embl-abr.org.au/saravanan-dayalan-interview and can find out more about the EMBL-ABR initiative at https://www.embl-abr.org.au/about/ if you are interested. Australian and New Zealand-based metabolomics researchers are encouraged to interact with this new facility. This section features interviews with prominent researchers in the field of metabolomics. The aim of these interviews is to shed light on metabolomics researchers around the world and give them an opportunity to share their metabolomics story. In this issue, we feature an interview with Jules Griffin. Dr. Griffin studied chemistry at Magdalen College, Oxford, and went on to do postgraduate research in biochemistry, gaining his DPhil from Oxford in 1999 after studying in the laboratory of Professor George Radda. Following this he held Postdoctoral posts as a Harvard and Massachusetts General Hospital Fellow in Radiology, as a research associate at Imperial College London, and, later, as a Royal Society University Research Fellow at the Department of Biochemistry, University of Cambridge (UK). He was formally appointed as a University Lecturer (the US equivalent to an associate professor) at Cambridge University in 2007. Dr. Griffin's group uses a range of analytical techniques including NMR spectroscopy and mass spectrometry (they have access to a 500 MHz NMR spectrometer, a Thermo LTQ ion trap, a Waters QTOF Ultima, a Waters Quattro Premiere triple quadrupole LCMS, and two GC-MS), to follow metabolism in the brain to look at a range of disease processes. The majority of his work has centered on mouse models of disease including Alzheimer's disease, Parkinson's disease, and the neuronal ceroid lipofuscinoses. More recently, Dr. Griffin's group has been using a combination of animal models (mouse, rat, and C.elegans) to understand the metabolic consequences of "metabolic syndrome" including type II diabetes, obesity, fatty liver disease, and dyslipidaemia. His studies have attempted to cross-correlate metabolomic data with proteomics and transcriptomics to create a "systems biology" description of the consequences of pathology and genetic modulation related to the metabolic syndrome. JG: I was doing my first post-doc at Harvard Medical School, using NMR spectroscopy to follow cardiac metabolism, when for personal reasons (getting married!) I decided I needed to return to the UK. There was an advert for several post-doctoral positions at Imperial College London using NMR spectroscopy to profile metabolite changes in urine from small mammals exposed to environmental toxicants. I remember going to interview at Imperial just before Christmas 1998 and being amazed by the facilities they had on offer. Jeremy Nicholson also did a great job of selling the field to me. I took up a post under Jeremy’s supervision and started one of my most exciting and productive periods of research. JG: A surprising aspect of my work recently has been the chance to be involved in human field studies. Most of my research is lab based but in 2013 I got the opportunity to join the Xtereme Everest 2 expedition. This expedition set out to look at how humans adapt to high altitude by monitoring physiological changes in volunteers that trekked to Everest Basecamp at ~5400 m above sea level. 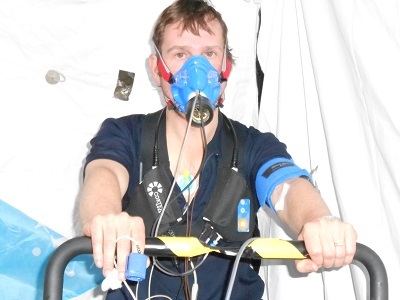 This included a physiology lab actually at basecamp with exercise bikes, clinical chemistry, and respirometry. Tom Ashmore (a PhD student at the time) and I took part in the trek and then analysed muscle biopsy samples that were collected to monitor metabolic adaptation in Europeans and native Sherpa volunteers. We were able to compare between the two groups and identify differences in fatty acid oxidation, which we believe help Sherpas to adapt to life at high altitude. This work has just been published in PNAS and the metabolomic data held the key to many of the metabolic adaptations (Metabolic basis to Sherpa altitude adaptation. Horscroft JA, Kotwica AO, Laner V, West JA, Hennis PJ, Levett DZH, Howard DJ, Fernandez BO, Burgess SL, Ament Z, Gilbert-Kawai ET, Vercueil A, Landis BD, Mitchell K, Mythen MG, Branco C, Johnson RS, Feelisch M, Montgomery HE, Griffin JL, Grocott MPW, Gnaiger E, Martin DS, Murray AJ. Proc Natl Acad Sci U S A. 2017 Jun 13;114(24):6382-6387. doi: 10.1073/pnas). JG: The big international project that I’ve been part of for a number of years is the MetaboLights project. In collaboration with Christoph Steinbeck at the European Bioinformatics Institute (now the University of Jena) we’ve developed and populated a repository for metabolomics data. One of the great challenges of this project has been to try to keep up with all the developments in metabolomics with new workflows. It’s been great to see the repository grow and I’m looking forward to more people making use of it as a research tool to validate their own experiments. JG: I think the first thing to say is that it’s a very diverse community. At one end we have the big national facilities and projects such as the National Phenome Centre at Imperial College London, which is doing pioneering work in medical diagnostics, but we also have smaller cores and groups doing world class science on a much smaller scale. I think we have a long way to come to be as well developed as a community as those in the proteomics field but we are getting there. To a degree this has been driven forward by some great local meetings with Metabomeeting and the London, Cambridge, and Scottish networks regularly attracting 100+ attendees. The London network seems only limited by the size of the lecture theatres they have access to! I think the next step is closer ties with lipidomics, which will be interesting as it will bring a much larger component of signalling to our field and I think we, the metabolomics community, will bring a bigger influence of all things metabolic. No bad thing to either community! JG: Recently I’ve become very excited about diagnostics and translating metabolite signatures to simple chip or paper-based assays. For my own research interests in medical diagnostics this has to be the way forward – getting these diagnostics into the General Practise surgeries and clinics. It will also be vital for diagnostics in developing countries. JG: I think it’s saved metabolism research! For those with long memories, prior to such global approaches, there was very little research into metabolism. No one seemed to be interested and the erroneous view was we knew all we needed to know about metabolism. Then we started looking at global profiles and realised how wrong we were! JG: I think it’s our laziness as a community to not quantitate our data. I’m as guilty as everyone else in the community but what is preventing us sharing data are the shortcuts we take over quantification, which means that many studies don’t really report concentrations but relative changes. If we could get over this barrier then it will make exchanging data between labs and studies so much easier, and we could really move forward as a community. JG: Firstly, I think it has taken off! However, if it’s going to be in every department and a must have for biological research, I think the price and size of instrumentation needs to come down. Core facilities are all very well but they keep the PI of individual projects at a distance to the data and the analytical workflow. Imagine the future when there was a high res LC-MS in the corner of the lab next to the PCR machine. I think then we would see the field explode. JG: We are going through a period of uncertainty in the UK post-Brexit where we, I think it’s fair to say, are not quite sure what the future funding landscape will be. The EU has been a big supporter of metabolomics initiatives and UK groups have been partners on a number of large consortia across Europe. Currently it’s not certain UK scientists will be allowed to apply for these grants under the current scheme rules, and we are not quite sure what this will mean for UK science. However, what is talked about at the moment is that when the UK started to co-fund science in the EU we stopped a lot of funding schemes across the globe. If there might be a silver lining to the whole Brexit debacle then maybe we will become more global in our research outlook. JG: We are just beginning to see sharing of data in large epidemiology studies where power is so important to correlate GWAS and metabolomics data. There they have had to standardise assays and how they report the data. These studies have shown the potential of being able to share data. Into the future we will see more of this but it will only be possible if we agree to describe our experiments fully and in a standard way. This will also help our data to become more readable for computers, allowing us to data mine them better. JG: I think returning to the issue of data standards and describing properly what we do; I think it’s going to be really important for us to properly share our methods so that others can replicate our approaches to give us added confidence but also allowing us to share resources and data across smaller labs. One could envisage metabolome projects across the globe where gene families are divided up and we all agree on an approach to cover key metabolic pathways. As a Chinese colleague recently pointed out to me, the great thing of collaborating globally is they are working while I’m sleeping and I can pick up the baton in the morning! Letters of intent are due by September 12, 2017 and final applications are due by October 20, 2017. Please share with anyone who may be interested. Register today for the Mayo Clinic Metabolomics Symposium October 12-13, 2017 – Siebens Building, Leighton Auditorium, Rochester, Minnesota. Mayo Clinic Metabolomics Symposium *You will be required to create a profile. Speakers and vendors do not need to register. Attendees are invited to display posters at the conference reception on Thursday evening. Awards for excellence will be given to first place ($300), second place ($200) and third place ($100). Vendor opportunities are available and will be displayed during the entire workshop as well. Please contact Jacquelyn Gosse for vendor information. Mayo Clinic is one of six federally funded Regional Comprehensive Metabolomics Resource Cores (RCMRC) to support medical research using metabolomics - the comprehensive and quantitative analysis of molecules (metabolites) that define the metabolic signatures of living systems. This symposium was made possible through grant number U24DK100469 from the National Institute of Diabetes and Digestive and Kidney Diseases and originates from the National Institutes of Health Director’s Common Fund. For more information, contact Jacquelyn Gosse.